How refurbished products are changing the face of new-age retailing? The refurbished industry is still at a very nascent stage and in order to gain more credibility the market is working towards regulating the segment by spreading awareness and acquiring more and more customers. Delhi-NCR is known to be the hub for purchasing electronic items. You must have heard people saying ‘I got a branded product at a very low price from Delhi.’ Many of such gadget aficionados, bounded with monetary concerns, will be found exploring the local second-hand markets such as Nehru Place or Gafar Market in Delhi since ages. Operating under the umbrella of unorganised retailing, such local electronics markets have successfully fulfilled the needs of consumers. The refurbished industry is still at a very nascent stage and in order to gain more credibility the market is working towards regulating the segment by spreading awareness and acquiring more and more customers. 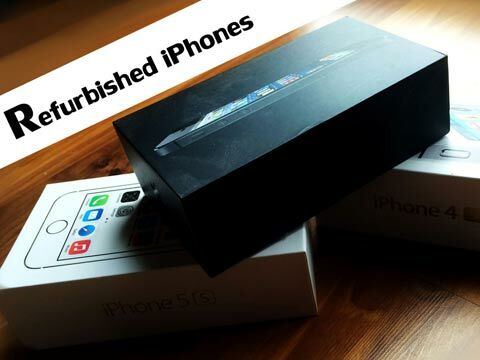 Electronics is one of the potential vertical for refurbish items and that fact that technology keeps on evolving and gadgets get outdated within months, refurbished products are surely a sensible purchase decision. “Refurbished business is here to stay and will grow many folds, the issue is not the quantity the issue is quality that everyone should focus on, wholesale players will make some money and would be out of the game once the customers start following one company for their Quality and Trust factor,” said Yuvraj Aman Singh, CEO, Rocking Deals. In order to broaden their horizon, many of these refurbished startups are now aiming to grab the lion’s pie by taking the franchising route. No doubt, franchising enables a brand to onboard a bunch of talent from the industry which further helps in building the business. However, franchising can be a risky alternative for some refurbished entrants as the industry is still on the verge of expansion and market is too bony for such experiment. Contradicting to the above mentioned fact, one of country’s largest online refurbished marketplaces Greendust has injected franchising into their DNA. “The 250 stores that we have are all franchisee stores. Franchisee model works very well here, particularly in tier III & IV city where franchise model can work well in a small 1000 1500 sq ft neighbourhood store. Since our products appeal to the value conscious middle class, a franchisee store in tier 3 & 4 city is the perfect fit for us,” said Chaturvedi. Many well established online players in this segment prefer expanding their sphere via franchising as having a retail touch-point can do much better than eCommerce if managed well. India is a country where people prefer buying cheap products but don’t really want the ‘used’ tag to come with it. The refurbished franchise category in India is at a very early stage. Some of these above mentioned companies have begun their franchise operation lately but, will need some time to show sustainable growth with a larger per cent of franchise being profitable. The consumer base is surely increasing and soon we expect the refurbished industry to stand tall as one of the mainstream verticals of the modern day retailing.